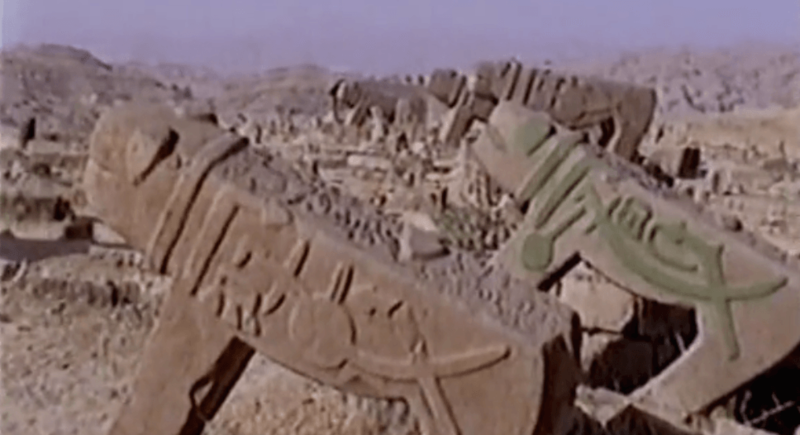 riginally conceived as a book, this documentary is about lion tombstones among the Bakhtiari nomads. In the majority of cases it was seasonal stonemasons who mostly made lion tombstones for the Bakhtiari. From their childhood, seasonal stonemasons traveled with their fathers, thus learning the trade at first hand. Generally, they were neither Lor nor Bakhtiari: they were city-dwellers, living in towns around the Bakhtiari territories, such as Hafshejan, Shahr-e Kord, and Khansar. The presence of these stonemasons in the Bakhtiari territories permitted the latter to learn their techniques, either by observing the stonemasons or by helping them. Over the course of time, the lives of these stonemasons have changed greatly, and indeed the Bakhtiari’s new way of life does not permit them to continue their traditional existence. The progressive settling of the Bakhtiari means they now lead a more modern way of life, in which there is no longer a need for seasonal stonemasons. This film is about the relationship of these seasonal stonemasons and the Bakhtiari regarding the production of lion tombstones. Dr Pedram Khosronejad began his studies in Tehran before moving to France to pursue a Ph.D. in anthropology with the support of the Soudavar Memorial Foundation which also funded the publication of his thesis in the form of the present book. His areas of research have been mostly concerned with an ethnographic understanding of death and dying among a group of traditional pastoral nomads in the Southwest of Iran, called the Bakhtiari. In his doctoral thesis, Dr Khosronejad explored themes closely related to the material and visual culture of death, namely, through an analysis of objects, artefacts and especially, tombstones, as well as the techniques implied in their creation and manipulation among the Bakhtiari. Besides working on such topics, which also included funerary rites, arts and mortuary beliefs, my research has been further motivated by an interest in visual piety, devotional artefacts, and religious material culture in the Middle East more broadly.